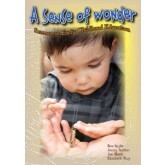 A Sense of Wonder explores the possibilities for experiencing science in early childhood settings, together with practical ideas to inspire early childhood educators and pre-service students. 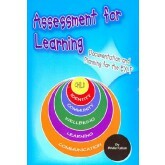 The book outlines an early childhood science framework divided into four learning areas: biological science, physical science, earth science and environmental science. The framework also includes the science learning areas identified in the Australian Curriculum for Primary School: biological science, physical science, chemical science, and earth and space science. 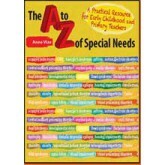 This indispensable reference covers 50 disabilities in easily accessible double-page spreads including autism, asthma, ADHD, coeliac disease, cerebral palsy, developmental delay, dyslexia, epilepsy, obesity, muscular dystrophy, visual processing disorders, and many others. 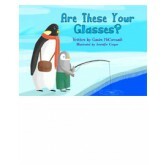 Through the use of many colourful and interesting stories and examples, this book makes a very persuasive case for looking carefully and listening sensitively to children as a basis for planning. Relevant to both centre-based and family day care settings, in both Australia and New Zealand, it gives new meaning to the idea of 'starting with the child'. 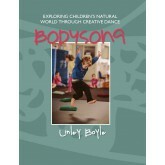 Written for educators who are focussed on, and proactive about extending young children's learning. 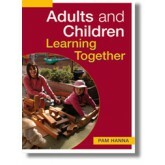 Planning and observation are at the heart of any early years setting, and this straight-to-the-point guide gives a wealth of clear instructions on best practice in planning for young children’s learning, and observing their development. Authentic Inclusions of Aboriginal Cultures was coauthored by Mary Jacobs Early Childhood Lecturer (TAFE), Les Bursill Aboriginal Knowledge Holder and Dharawal Elder, Catherine Lee Early Childhood Educator at The Point Preschool which has ‘a best practice’ reputation, and Peter Morgan Professional Musician and Educator. 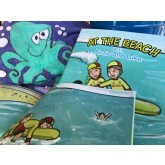 'This book has developed in me an awareness of the need for our young children to have a shared knowledge of this rich and unique Aboriginal culture. Not through a puzzle or a book but through meaningful interactions with Elders, staff, families and community. Children will learn through interactive hands on exploration and investigation on a daily basis, with guidance and permission from Aboriginal Elders and knowledge holders'. 'I see this book as an invaluable resource, guiding educators, step by step, through each process of the journey which will both teach and inspire you to learn more'. A comprehensive and practical Australian guide to setting up and providing quality care in Outside School Hours Care programs. Designed for trained and untrained child carers, TAFE students and teachers, and community members or parents in management committees. It is generally understood as the capacity to recover or bounce back from setbacks in life. The scientific understanding of resilience is specifically developed in relation to young children who have experienced setbacks and is about what adults can do to help them make the most of their lives. 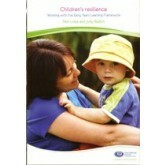 Resilience provides the underpinning for all children to succeed in their education and in the rest of their lives. Is today’s pressure on parents and teachers sidelining children’s play? 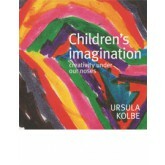 Artist and educator Ursula Kolbe opens our eyes and ears to what’s happening ‘under our noses’ when children play—with anything from seedpods to felt-tip pens or even an iPad. Kolbe’s stories reveal that unstructured and unhurried play—as neuroscientists, psychologists and educators have long said—encourages children to become imaginative and inventive thinkers. By looking at children’s responses to the unexpected in play, Children’s Imagination: Creativity Under Our Noses uncovers valuable clues to what sparks creativity in us all. 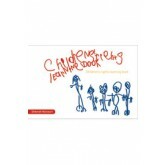 For all who live and work with children 1.5–10 years.